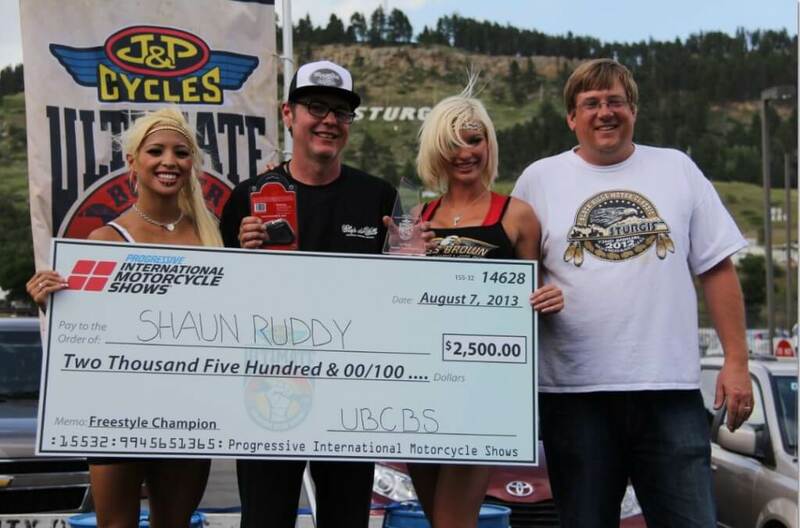 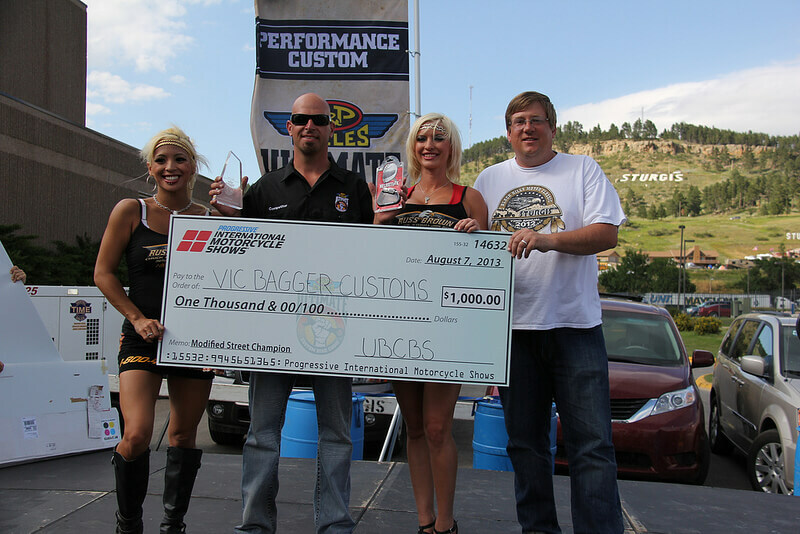 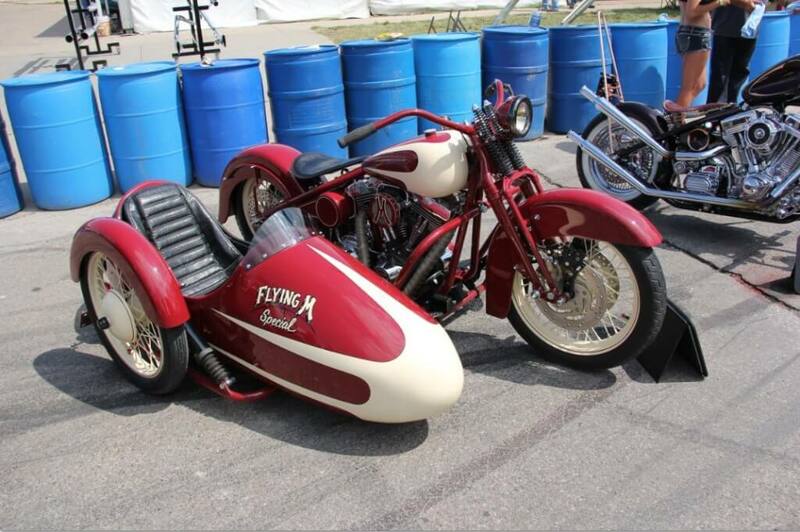 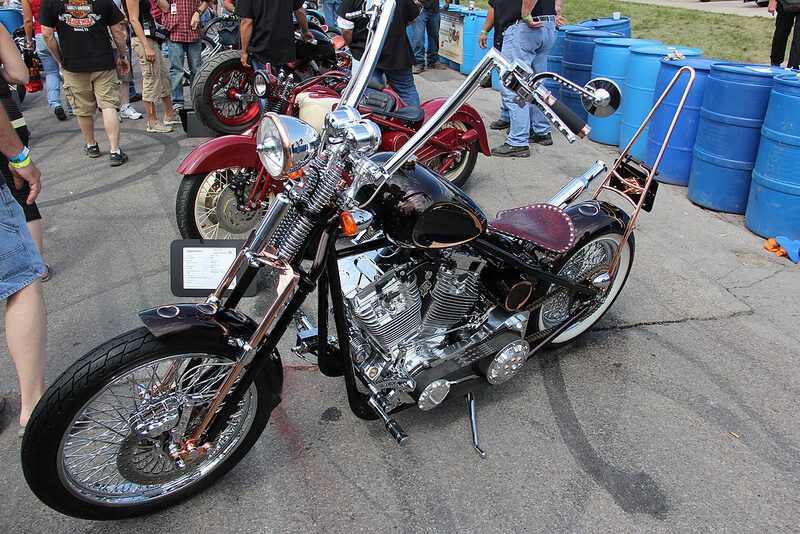 Ruddy’s 2012 Retro Racer held point and took the win at the 1st Annual 2013 Ultimate Builder Custom Bike Show in Sturgis. 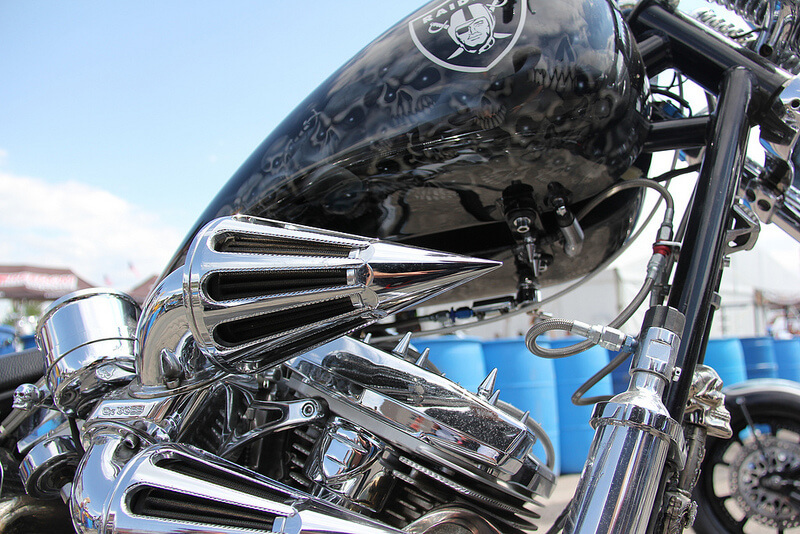 The day provided picture-perfect blue skies, warm weather and cooling breezes. 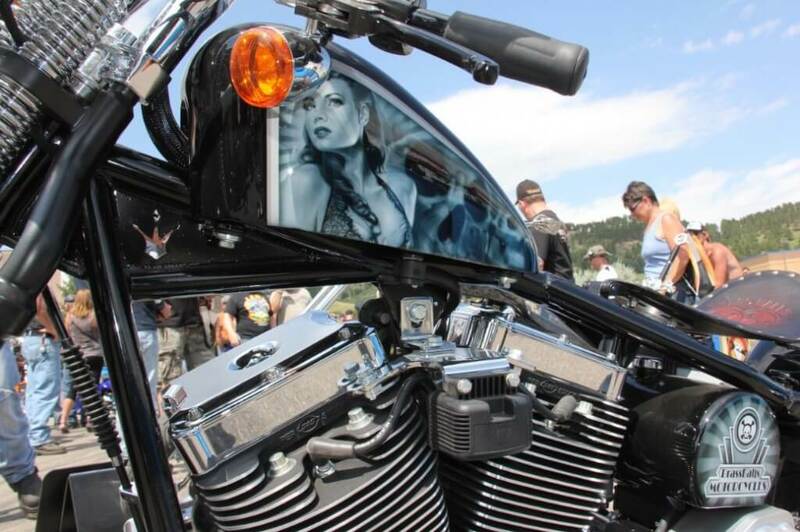 The good vibrations of sweet-stroking Harleys peppered the morning as competitors entered into the Sturgis show. 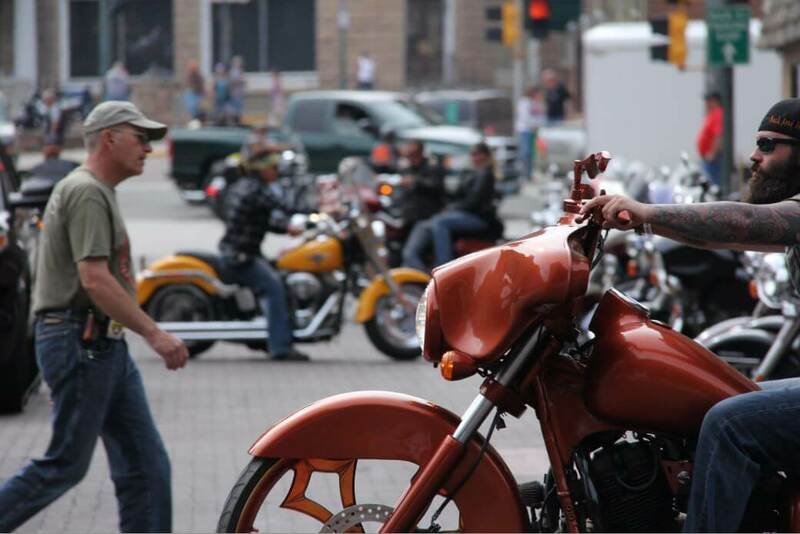 Located at the corner of 4th and Lazalle, the city closed off 4th street to host the event. 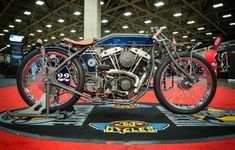 The FreeStyle class was so competitive and the voting was so close that a couple of votes could have changed the top 5 results. 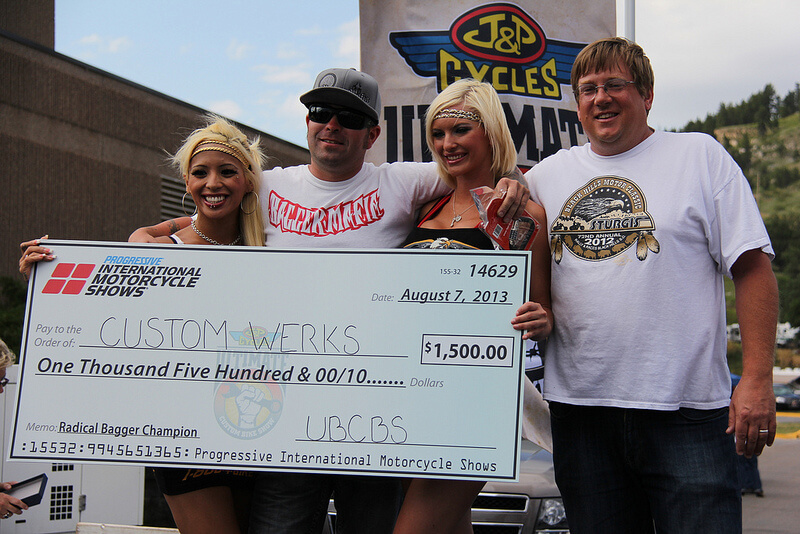 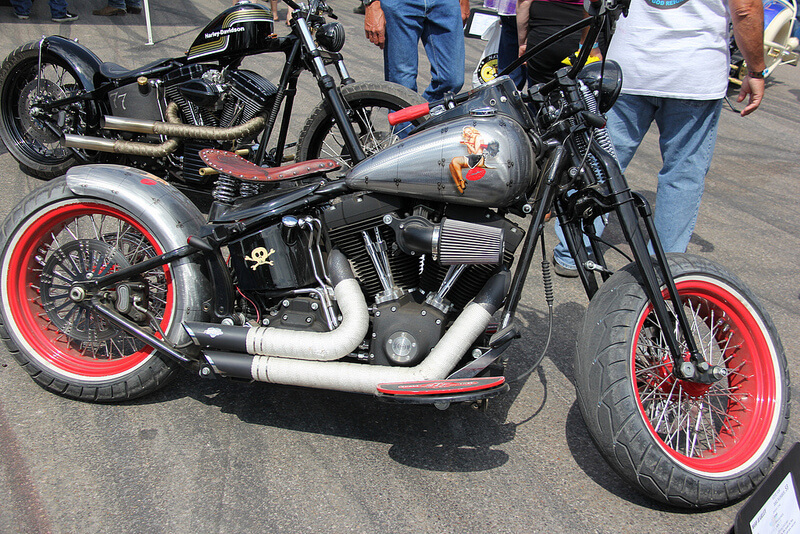 The top 3 positions were filled by previous Custom Bike Show winners. Shaun Ruddy won Ultimate Builder at the 2012 edition in Long Beach, Kyle Shorey is our 2012-2013 National FreeStyle Champion and Sam Baldi took the gold in Hollister just 4 weeks ago. 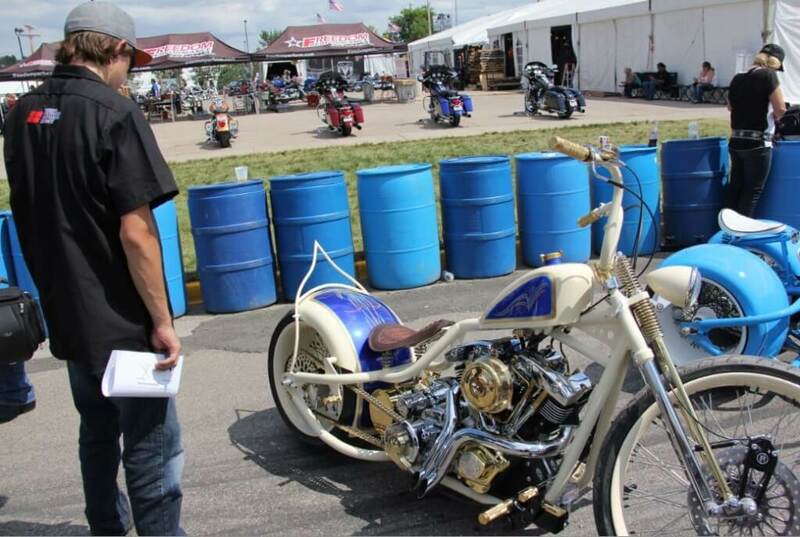 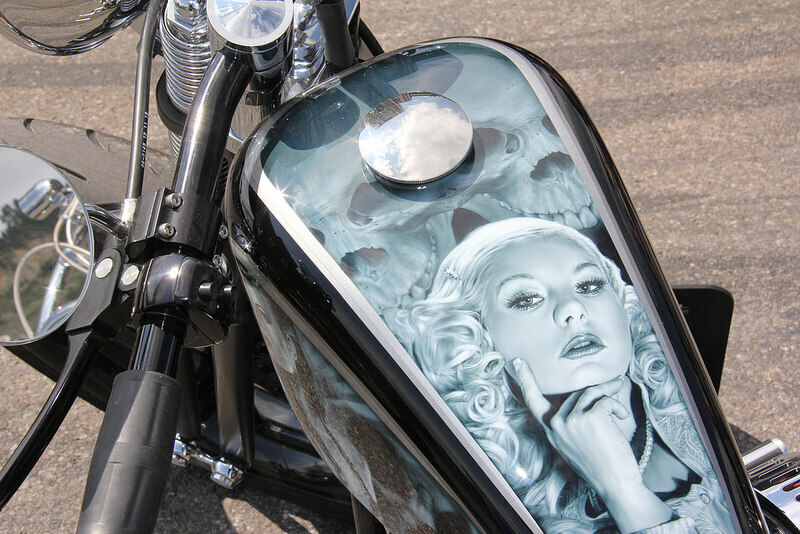 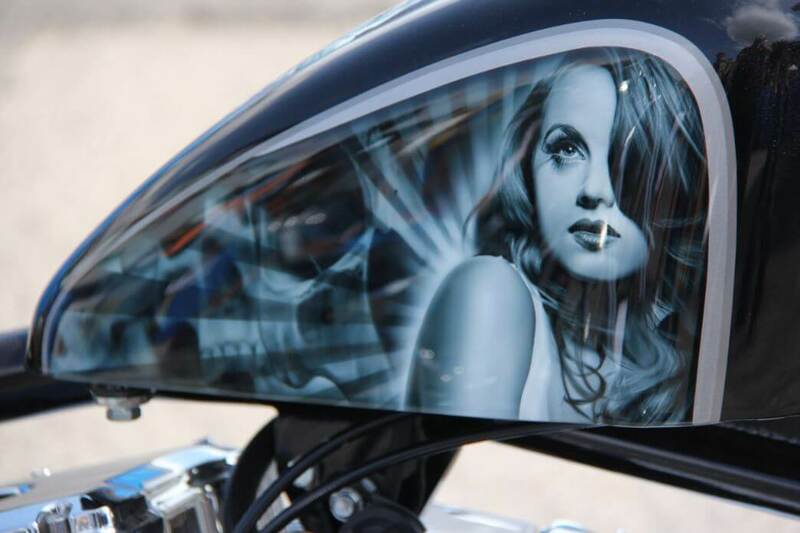 Ultimate Builder is known for the diversity of styles, innovation and designs and Sturgis was a treat for enthusiasts checking out the show. 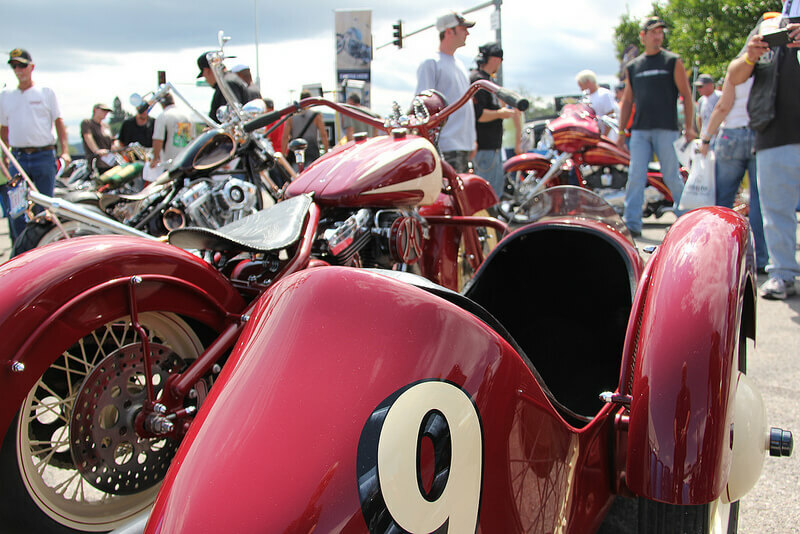 From ground up builds to tractor design queues to choppers to Hot Rod-styled side cars, it had everything. 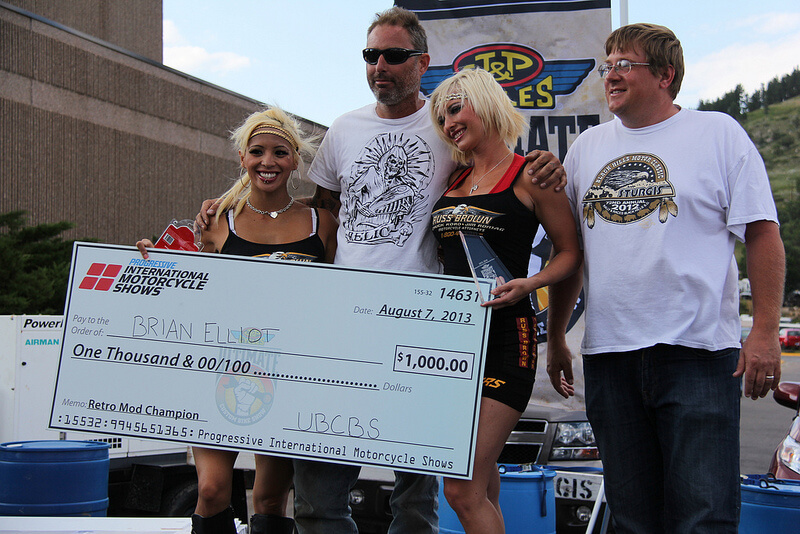 The event was packed from 10AM through the awards ceremony at 4:30PM. 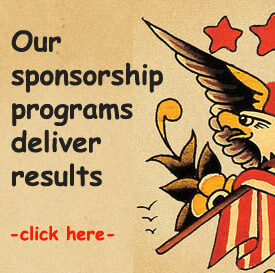 Judging is based on the AMD World Championship rules. 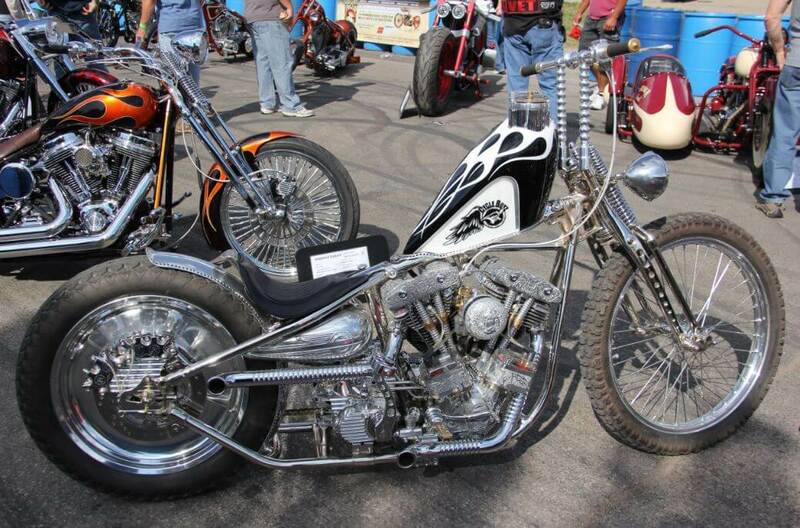 It is a peer judged bike show where the builders judge the show. 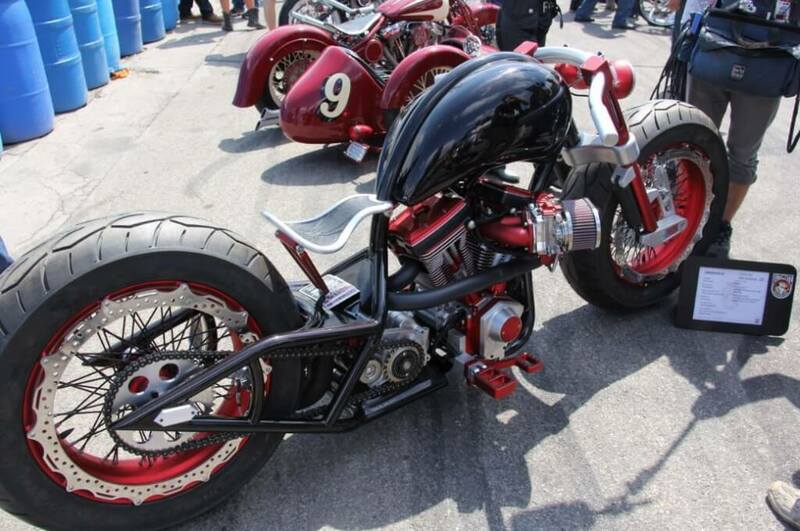 Builders have the insight on what it takes to build a championship-caliber custom motorcycle. 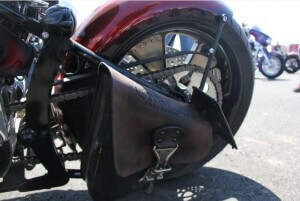 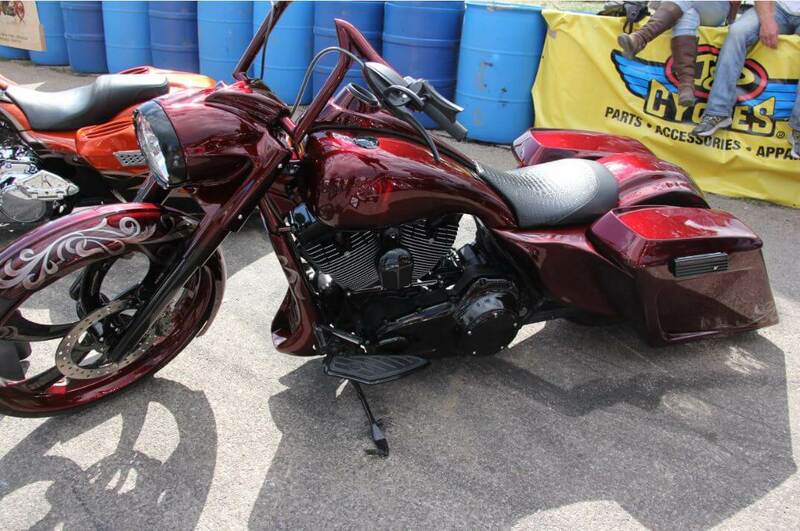 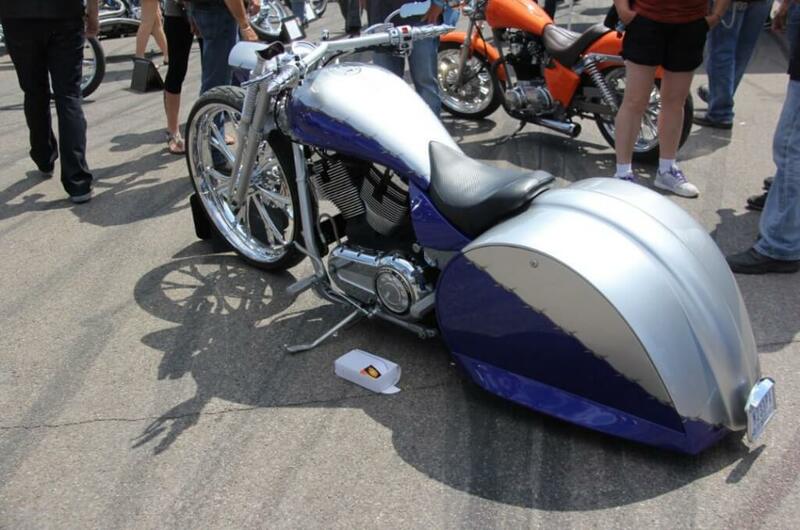 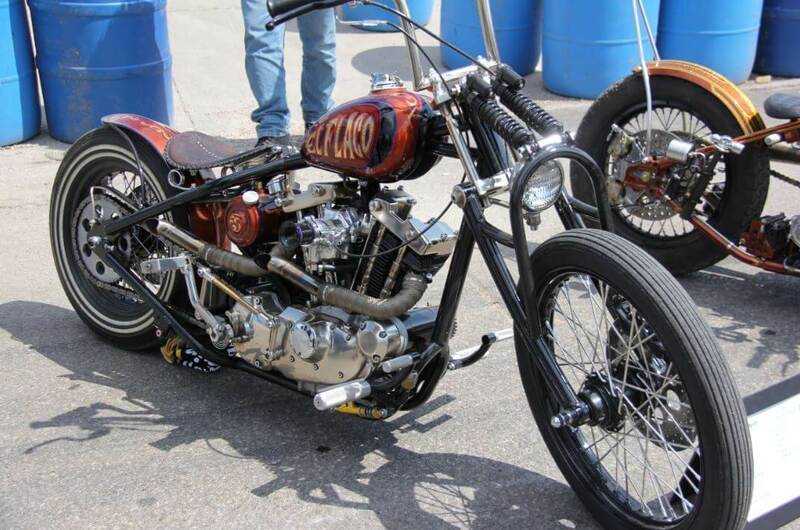 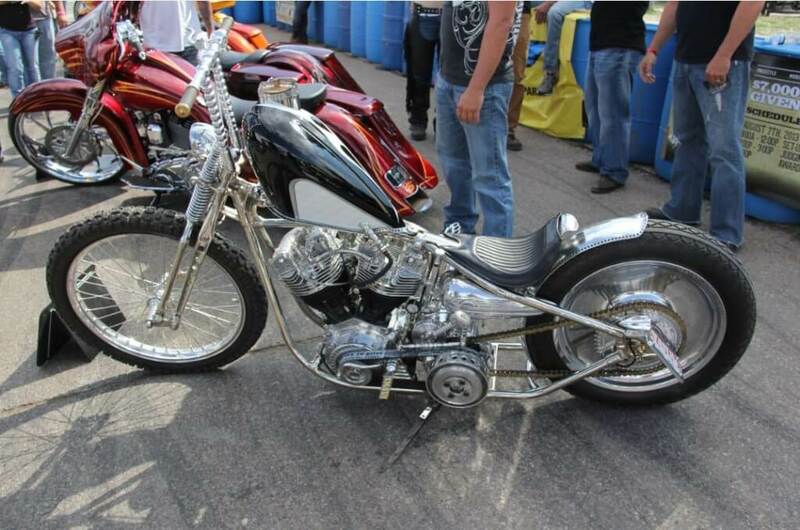 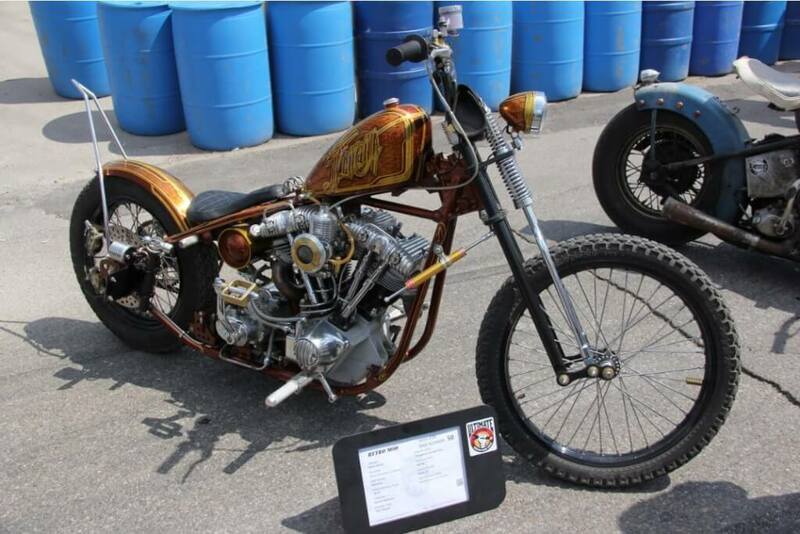 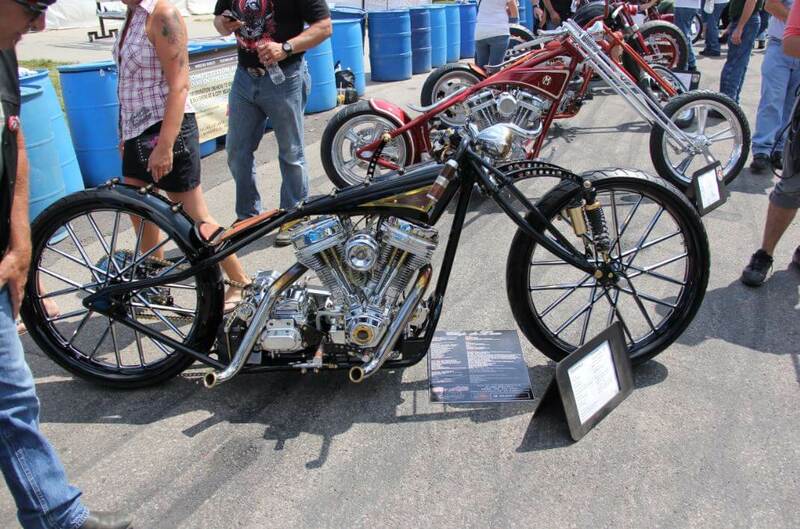 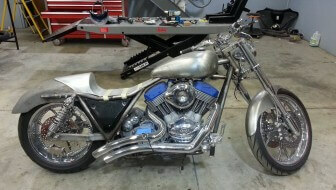 Biker Pros produces the Ultimate Builder Custom Bike Show Series. Biker Pros, a communications and publicity company, produces Custom Bike Shows across North America. Clients like Advanstar, Harley-Davidson and American Motorcycle Dealer have engaged Biker Pros for multiple years to assist them in meeting their communication objectives. 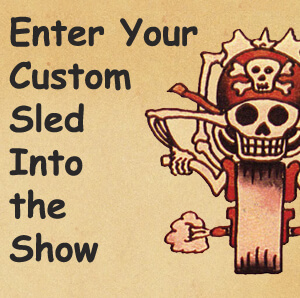 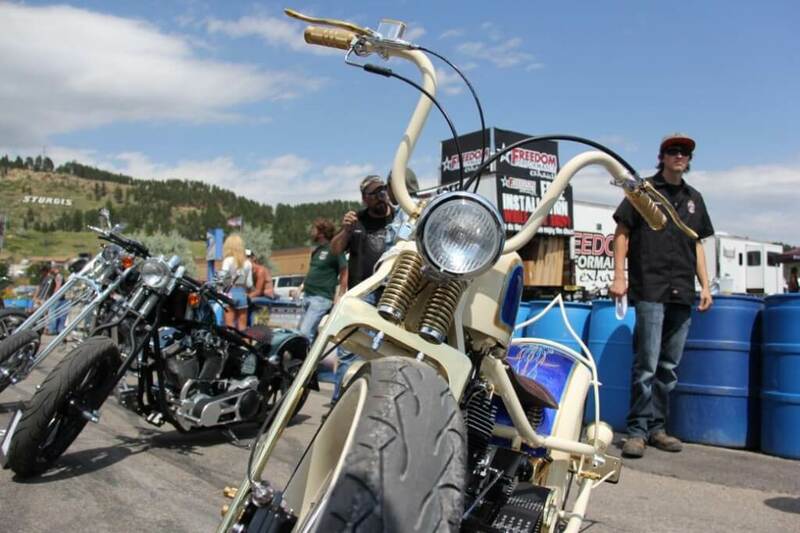 Sturgis Kicks Off the Season Biker Pros will be posting results of the the 2014-2015 J&P Cycles Ultimate Builder Custom Bike Show season off the results menu. 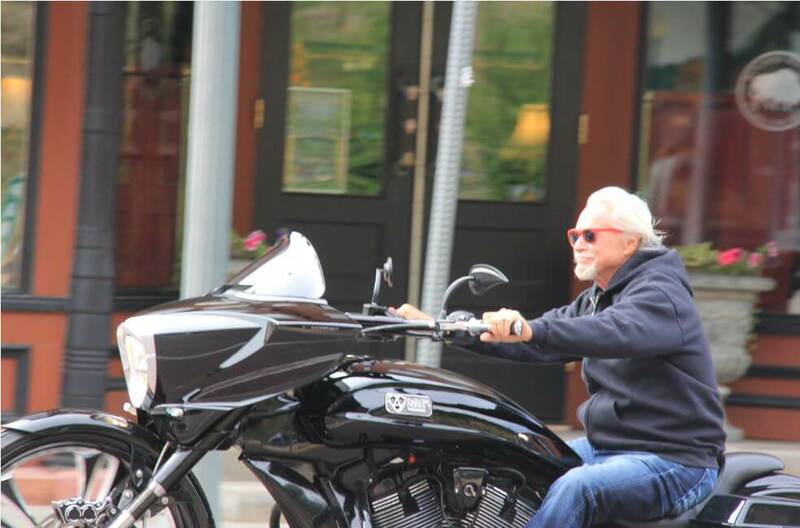 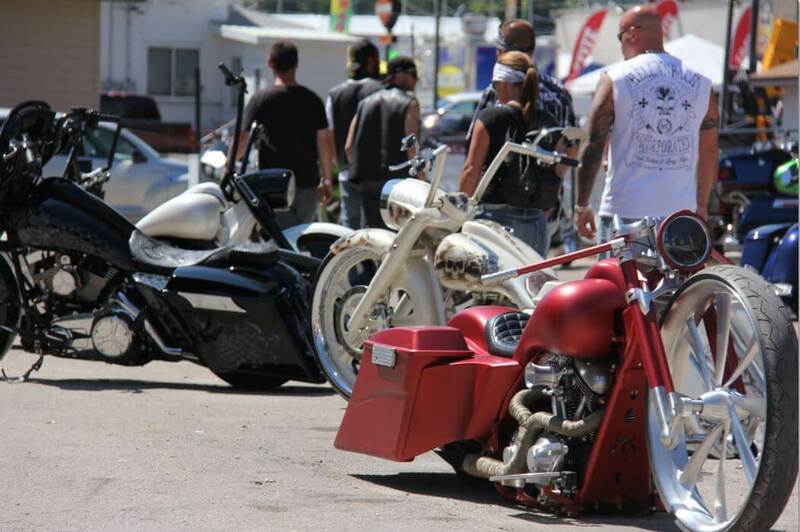 The first event kicks off in Sturgis 2014. 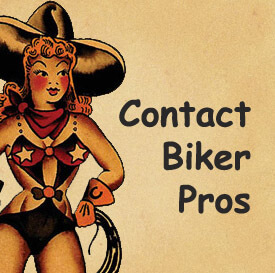 If you have questions, then call our office at 919-450-5060 or send an email to jeff @ bikerpros.com. 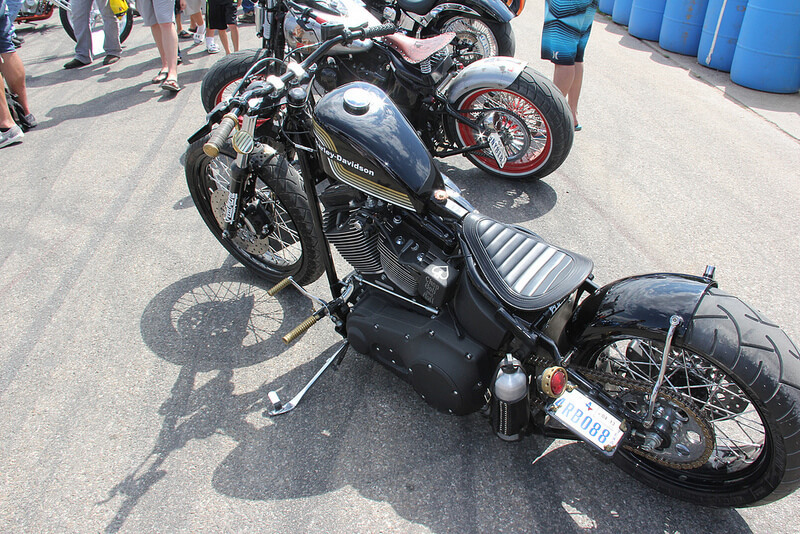 The 1973 CB350G Café Racer from Andrew Frederick was super clean and took 2nd in Modified Retro class. 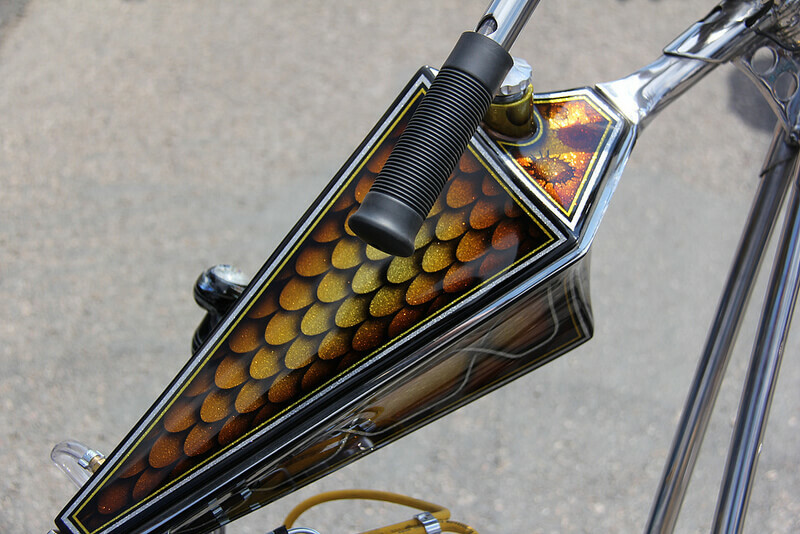 A number of times people would walk by and then catch the bike in the corner of their eye and then stop and stand riveted, looking at the custom sled.